For your Kyoto, Nara, Osaka, or Kobe tour, one of our certified veteran guides will guide you. 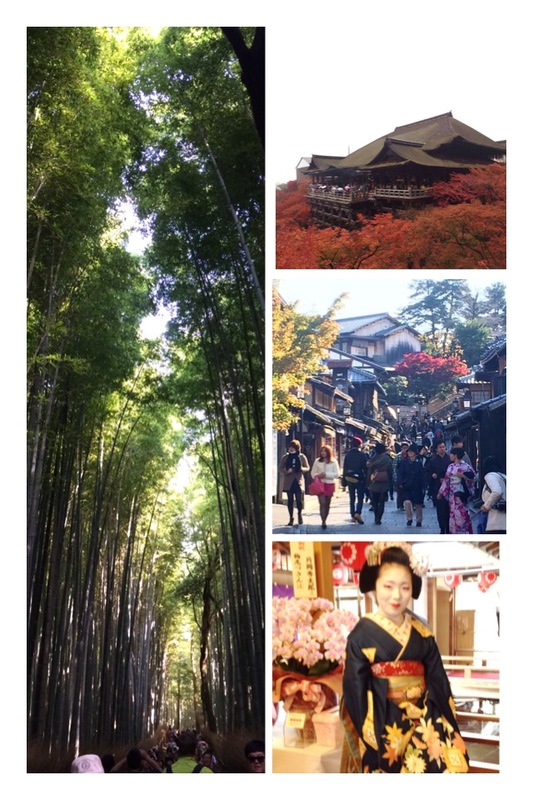 Some standard courses are shown on the “Tour Courses Kyoto/Nara/Osaka/Kobe”. Just select of them. If you’d like, we can tailor your tour according to your wishes. You will find interesting places on the “Popular Sites in Kyoto/Nara/Osaka/Kobe”. Please let us know anything you’d like to see or d through the Contact Us Page. The guide fee is shown at the bottom of this page. Kyoto is an ancient city that used to be the capital of Japan from 794 to 1867. There are many old and beautiful buildings and gardens including 17 sites that have the UNESCO World Heritage designation. Also, there are many spots where you can experience Japanese cultural activities such as tea ceremony, kimono dressing. If you wish, we could incorporate such activities in the tour. Kyoto is also a big modern city with a population of about 1.5 million. You would never find such a city other than Kyoto that old and new things coexist. Why don’t you explore this amazing city with us! Nara is also an ancient city. 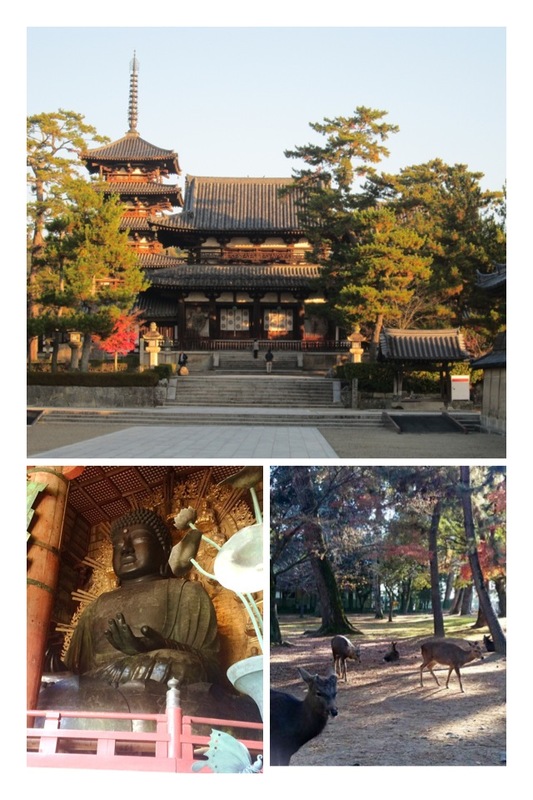 You will see many historical temples and shrines in Nara which were built during the Nara period (710 to 794). Among them are Todaiji-temple, in which Great Buddha Image is located and Horyuji-temple which has world’s oldest wooden structures in its precincts. Nara is also famous for its numerous tame deer in Nara Park. The city is not so populated and retains a serene traditional atmosphere. Osaka city is a vibrant commercial city in Japan with a population of nearly 2.7 million, the third largest city in Japan after Tokyo and Yokohama. It is a port city and once the gateway of Japan. So it has many historical places including Osaka Castle. Osaka’s people love eating good food. 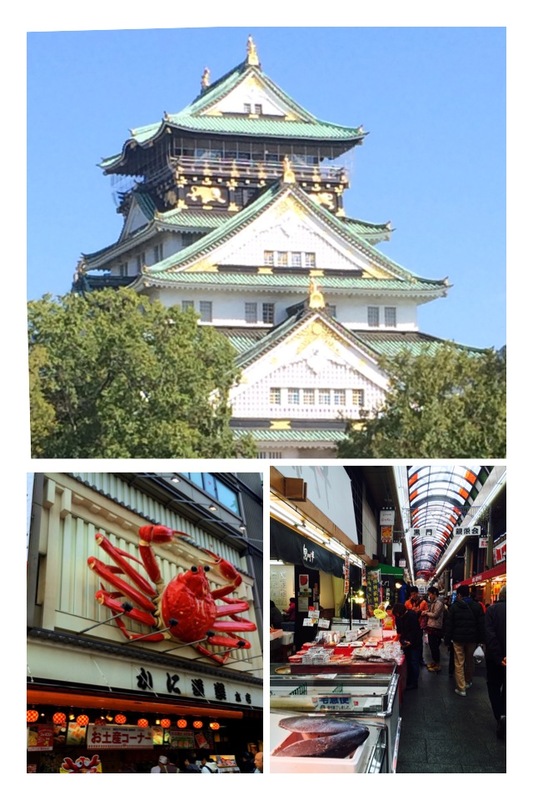 There is a Japanese word “Kuidaore”, which refers to Osaka’s food culture. It literary means “Eat until you drop”. It suggests there are many good restaurants which provide good food in Osaka. 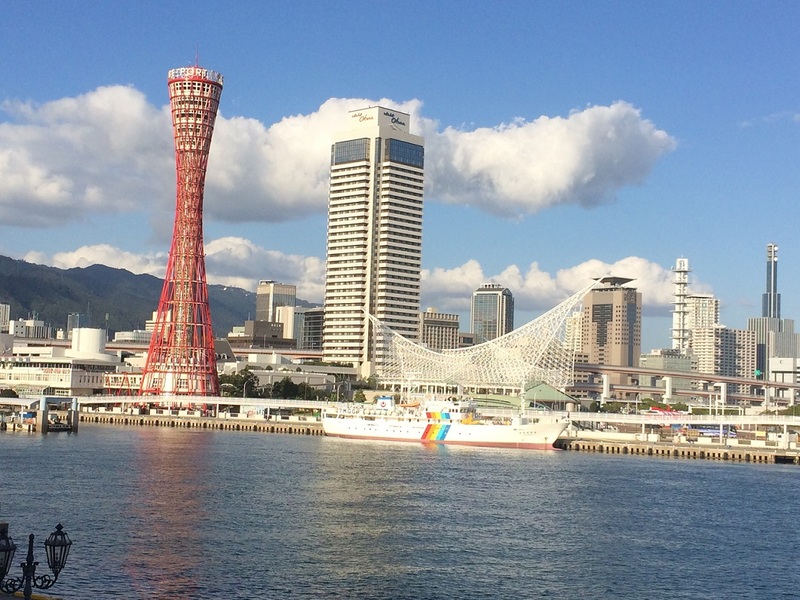 Kobe is an international port city with a population of 1.5 million, the 6th largest in Japan. It’s　a very beautiful city with mountains and the sea. 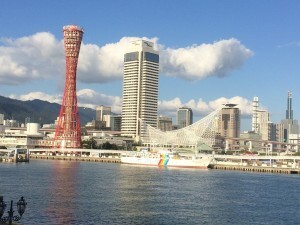 Kobe port was opened to the world at the beginning of Japan’s modernization　in the middle of 19th century. Since then, people from foreign countries came to Kobe to settle there and did business. Kobe was one of the Japan’s cities which first accepted their culture, including their cuisine, clothing, music, sports and so on. Not included in tour guide fees: transportation ,admission fees and meals. We kindly ask that participants cover these additional costs for themselves as well as for their guide. Meeting place— Pick up at your hotel in case your hotel is in the city of the tour. If your hotel is outside the city, please make an inquiry. Dismissing place— The final site of the tour. Your guide will assist you how to get to the station for your next visiting spot or your hotel. Cancel policy is shown in Terms and Conditions at the bottom of this page.